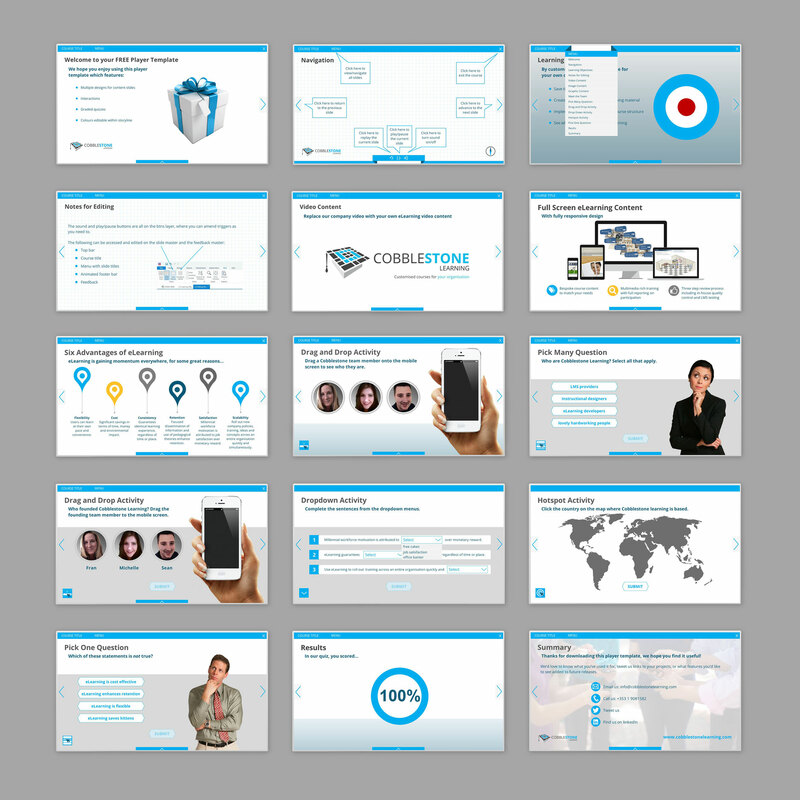 Hi, Please feel free to use our full free course template, built in Storyline 2. Replace our marketing content with your assets as needed. Enjoy! This is great, thanks so much for sharing! 1. in a freeform hotspot interaction, if using a custom submit button, it has to be on a layer (not the main timeline) if you want it to work. 3. Hover state triggers that work perfectly on preview do not necessarily work on publish. Ended up removing them all to be mobile compatible anyway. Thanks for the learning-points! :) Feedback master has been a challenge. On the learningside: I use quizzes more for learning than testing, and in that setting, NOT getting the right answer in the feedback (just the sign saying I was wrong) is frustrating. I've struggled sometimes on the more complex questions to fit the reply onto the feedback slide. Your hint here is helpful. I agree Pernille, knowledge checks are a good way of getting learners to think about a topic and giving constructive feedback to wrong answers is a great learning opportunity. I really enjoyed that! Thank you so much for sharing! "Some interesting things I learnt whilst building this template... ..."